To support all our transition work, we have our own transition worker dedicated to work with Year 6 pupils during the Spring and Summer terms. This includes both work in the primary schools and regular visits to Parkside. Once Year 6 move up to Year 7, our transition worker stays with them and provides support to pupils in the first half of the year. Every year, we hold induction days for the Year 6 pupils coming to Parkside – this is an important and valuable time for all concerned. 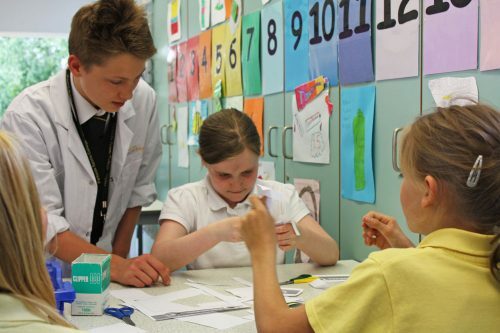 The Year 6 pupils experience sample lessons and take part in fun activities, all designed to build their self-confidence and familiarise them with how a secondary school works. Following these days, our new Year 7 pupils can start the year of as happy and enthusiastic young people.